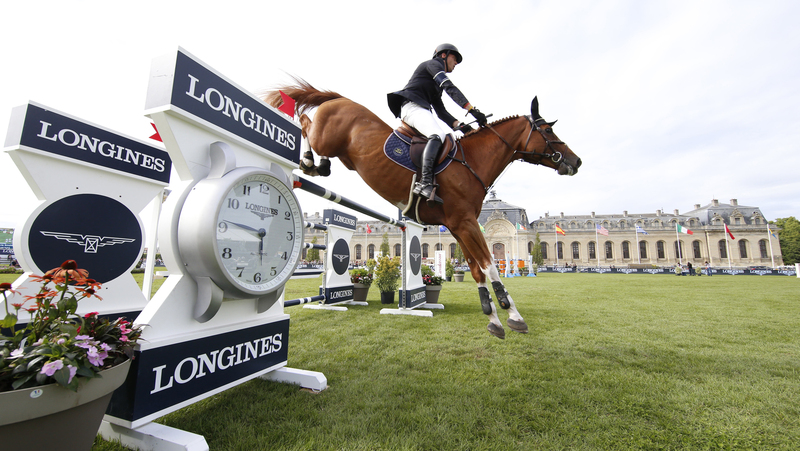 The 11th leg of the 2018 Longines Global Champions Tour season will feature all ten of the LGCT top ranked riders heading to the majestic destination of Chantilly in a flat out race for the Championship. Leading the charge is British Olympic gold medallist Ben Maher (GBR), the only rider to win two LGCT Grand Prix events so far this season (Madrid and Saint Tropez). Following another phenomenal weekend of success in Paris where we won three classes and came 4th in the Grand Prix, Maher has clinched the overall lead from Edwina Tops-Alexander (AUS), where he now sits on 205 points overall. However the two time LGCT Champion and long time leader is just a knife edge six points away, currently on a tally of 199 points. Continuning his dominant rise up the rankings Longines World Number 1 and reigning Champion Harrie Smolders (NED) heads to Chantilly with another LGCT Grand Prix win on his mind - the popular Dutch rider also the most recent winner as the unique venue after a spell-binding display with top stallion Emerald last year. On 176 points overall, he knows the next few stops will make all the difference, as he builds on his campaign for back-to-back title wins. Slipping down the order slightly is another two-time LGCT Champion Scott Brash (GBR), however the British rider continues to hold onto fourth in the overall ranking, with a strong result in Chantilly pushing him back into the top three and with a chance of becoming the first rider in history to take a third LGCT title. Danielle Goldstein (ISR), Gregory Wathelet (BEL), Jos Verlooy (BEL), Marcus Ehning (GER) and Alberto Zorzi (ITA) - who take 5th, 6th, 7th, 8th and 9th respectively) - are all within touching distance of the top four, and with only 11 points separating the five riders there will undoubtably be a shake up in the order following this weekend’s sporting action. The final rider to round out the top 10, Julien Epaillard (FRA), will also head to Chantilly, where he’ll look to be bolstered by the crowds as he takes on another event on home turf. Big names such as Ludger Beerbaum (GER), Simon Delestre (FRA), Eric van der Vleuten (NED), Jerome Gurey (BEL), Nicola Philippaerts (BEL), Laura Kraut (USA), John Whitaker (GBR), Christian Ahlmann (GER), Martin Fuchs (SUI), Marlon Zanotelli (BRA), Gerco Schroder (NED), Philippe Rozier (FRA) and Luciana Diniz (POR) will all be vying for a place in the LGCT Grand Prix of Chantilly, where they will be looking for a win to qualify for the Longines Global Champions Tour Super Grand Prix at the all important GC Prague Playoffs.